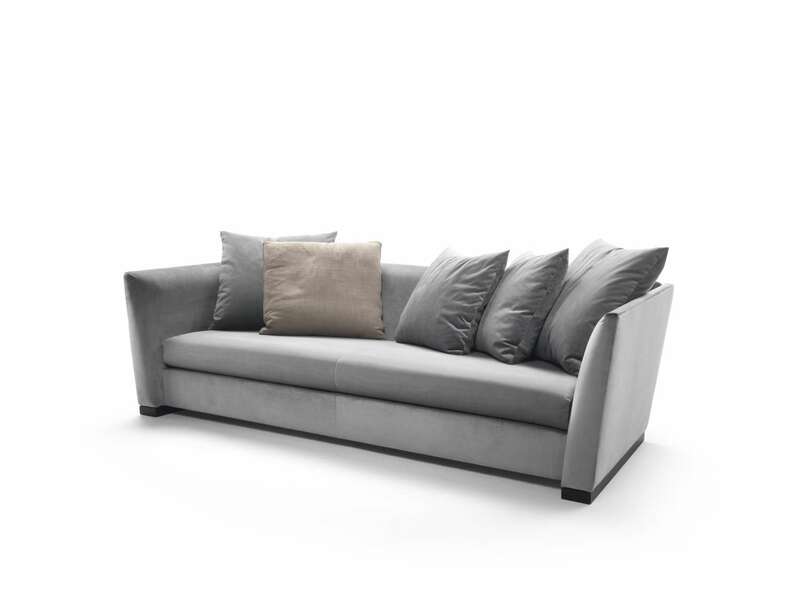 A linear sofa with clean, understated lines. 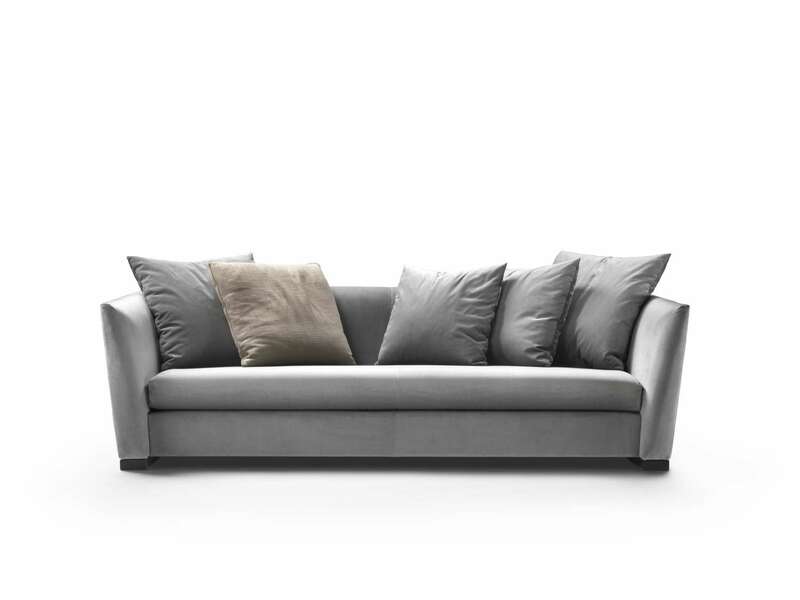 It stands on solid wood feet and features armrests and back with the same height. 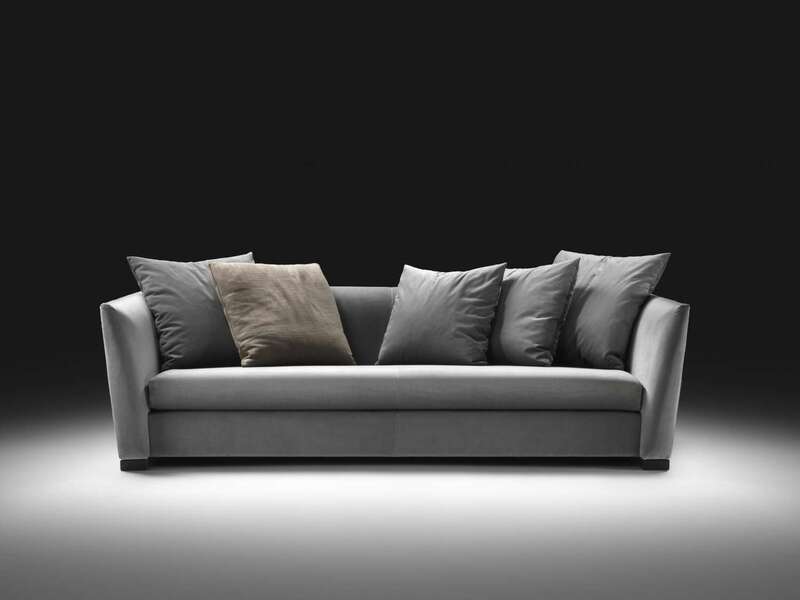 The upholstery of the body is quite firm, for those who prefer a sofa that is always perfectly in order. The formal poise is balanced out by soft goosedown throw cushions.